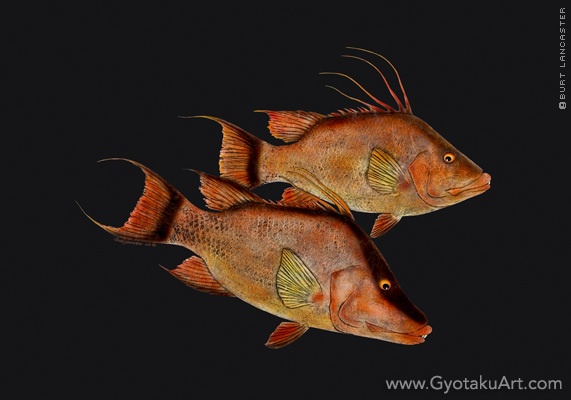 Description: Two hogfish on a black background. Species: Female and male. Color varies, but usually reddish orange with a brown mask. Average size is 2-5 lbs., but they can exceed 20 lbs., although rare. Hogfish have an outstanding food value and are considered the best eating of all reef species.